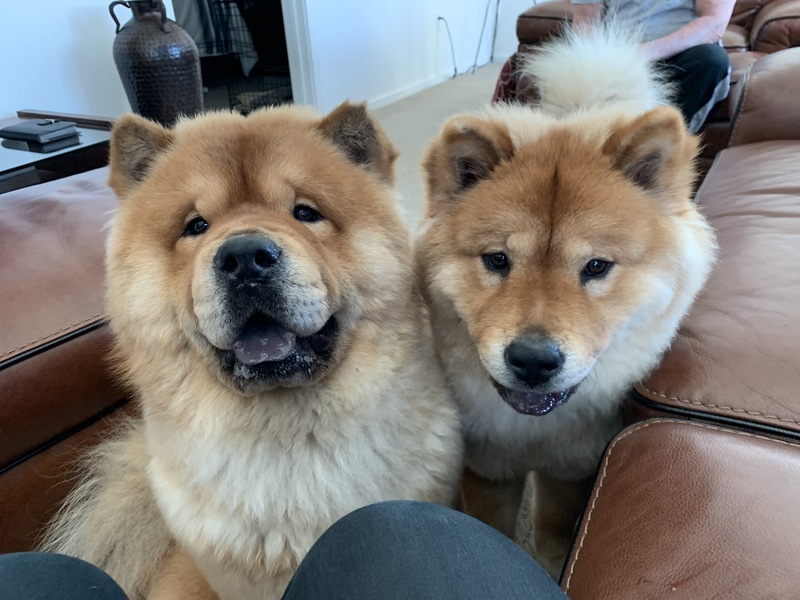 For this Omaha dog training session we worked with a pair of Chow Chow siblings, Khumbu and Teeka, helping her stop feeling anxious and fearful around new things with some counterconditioning and positive reinforcement. Having a fearful dog can be pretty taxing on even the most experienced and patient dog guardian. Especially when you have one that wants to rush forward and the other one wants to flee and run the other way. One of the tips I suggested was to walk the dogs separately for the short future; taking Teeka to a less busy area so that she can start having more positive experiences on the walk. Stopping dog anxiety is all about identifying what the dog is fearful of, then recreating controlled situations where you can help the dog build up its confidence slowly so it learns to get over the fear permanently. As a dog behaviorist, I like to use counterconditioning to help a scared dog get over their fears. You can learn how to use this positive dog training approach to help a dog get over things it fears in the free dog training video below. This will be a process and take some time. Fortunately for this pair of Chows, their guardian is dedicated and devoted to his dogs. Once he makes a list of the things that the dog is fearful of, he can set out to systematically eliminate the dog’s fears. And you dont have to be a professional Chow Chow dog trainer to accomplish this. I shared a number of other dog behavior tips in the in home dog psychology session. To help the guardian remember them all, we shot a roadmap to success video that you can check out below.